For this first experience we have very special collaborations on board. 5 days with a lot of yoga practice, delicious food, starry skies, breathtaking sunsets, surfing sessions at the best breaks in Cantabria and the best people to share with. From our location you have the possibility of endless excursions to incredible natural landscapes, beach, green fields, rivers, forest and mountains! 🌊 4 nights acoomodation in different configuration rooms. There are double rooms with private bathroom, 4-bed room and 6-bed room with shared bathrooms. 🌊 Fresh/organic food and self-cooked (with love) meals every day. We will be serving breakfast at 9am, lunch at 1pm and dinner at 19pm. A lot of water, tea, coffee and fruits will be also available to snack. Don’t miss the opportunity to try our cheese cake! 🌊 Daily Yoga Practice to start with good vibes every morning. We will start at 8am when the sun is still soft and friendly. Even if you never tried it, we think you will love it! We will focus on some basic asanas, breathing and meditation to experience this nice connection through balance, self-knowledge and harmony. Virginia will be guiding us the first days. She has been practicing yoga for almost 2 years and will share with us what she learned with passion and motivation. She will also start a yoga teacher trainning in September, so we’ve designed this activity as shared practice where we will all learn from each other. 🌊 Friday – Visit to the Kun_tiqi surfriders who care” workshop, where they will share with us why and how they build wood surfboards. We will visit their ecosurfshop with a lot of environment-friendly products for surfers who really care about the ocean. 🌊 Saturday – We will have a cooking session with an incredible entrepreneur from Ethiopia that will share with us how they cook and what kind of species they traditionally use in ther cuisine. At night we will have time to prepare a barbaque and listen to some live music together! 🌊Sunday – Feel free to join the cooking session with our friends from Kitchen for Happinnes and their “kneads your brain” workshops. They know a lot about bread and they will share with us some delicious recipes to take home-made bread. 🌊 The house has a lovely swimming-pool to refresh and huge garden to play. We will place a slackline, longboards, hammocks, boardgames and books to relax, share and enjoy little moments together. Bring your own surfboard or rent the material at a local school. There a few ones down at the beach (25€ per day with surfboard and wetsuit). You can also go for the surf lessons with LaCurva school (55€ two days lessons with material to use the whole day, instructors and insurance). These two last options would be additional costs to the established price of the experience. Please write us to arrange everything for you here. There are only 14 spots available! 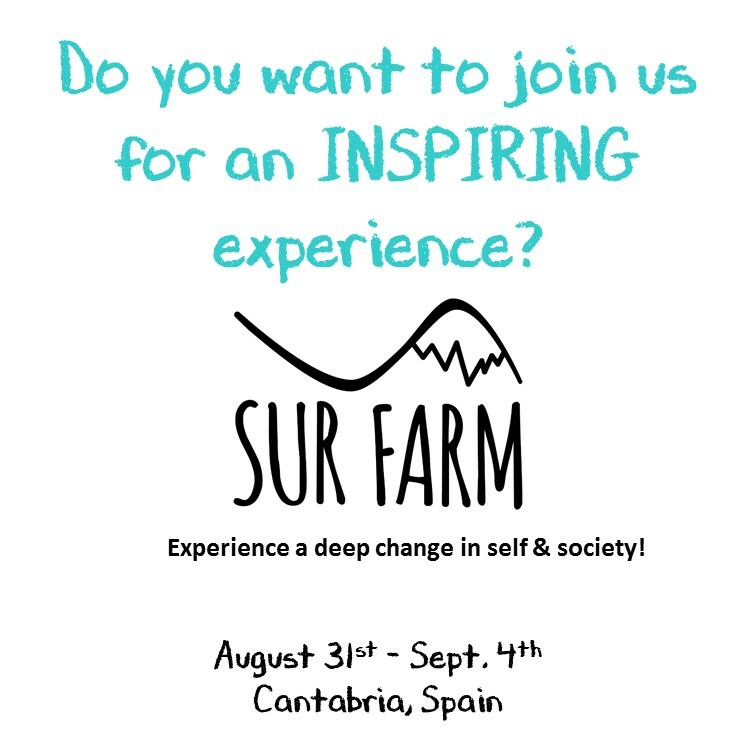 Don’t miss the opportunity to join the SurFarm Community.